Today has been very dark and rainy. I was going to make some fresh veggie burgers but I felt lazy. I decided to make a taco salad with whatever I had lying around. It actually turned out seriously yummy. I made sure to scribble everything down this time. Many awesome recipes have been lost by me getting carried away and not documenting it as I go. 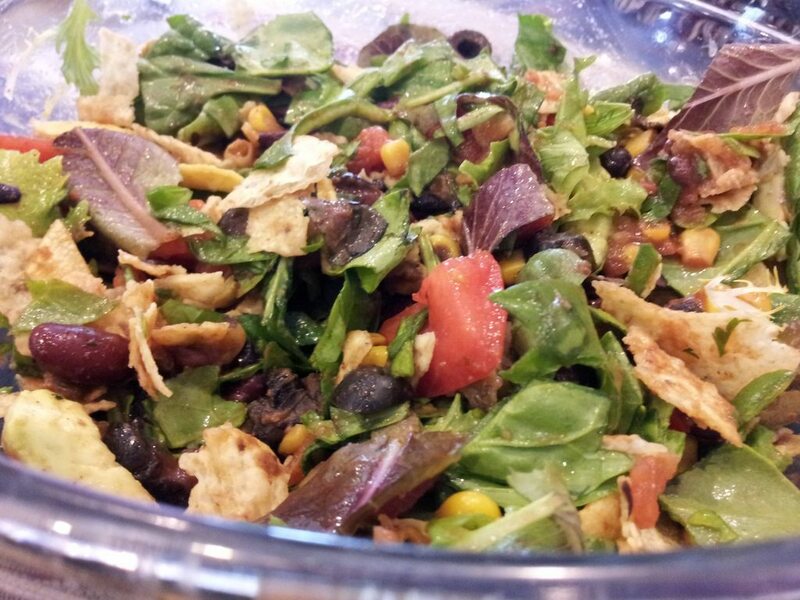 This entry was posted in Recipes and tagged avocado, black beans, chili powder, cilantro, corn, corn tortillas, kidney beans, onion, Rotel, seasonal blend, spinach, taco salad, tomato, tortilla chips.